Every person who is taking steps to improve their chances of survival in a crisis event usually starts with a specific vision of exactly what kind they are trying to defend against. Closer to the “event” end of the scale this will be things like serious rioting, a tornado, a car crash in a remote area or total blackout. At the other end of the scale we have regional, national or even global catastrophes such as a major pandemic, super-volcano eruption, complete collapse of society or more exotic, events like a gamma ray burst, major nuclear exchange or massive asteroid impact. As someone who is serious about keeping yourself and your family safe, which set of occurrences is most worth our limited time and resources to defend against? Is it possible to prepare for both? Should I even waste my time “preparing” for an event so apocalyptic that it will in all likelihood result in the scouring of all life from the earth, or even the physical destruction of our lone, blue planet? The answer is, frankly, yes and no. With a dash of common sense, realistic expectations and a clear vision of what you are actually trying to accomplish, you can be ready for anything. All of the following content in this article is my opinion. It is not the way to assess and analyze threats, only a way. Others may perceive various threats as more or less serious and plan accordingly. The basis of the information is from my own decision making processes and hierarchy of needs. I offer it freely in the hopes that it will help clear some myth, confusion and outright bunk away from the subject of general preparation or ‘disaster readiness’ if you prefer. It is my opinion that an individual, small party or large group can effectively prepare for even regional catastrophes and improve their chances of survival, no doubt about it. Where I urge people to ground themselves is the simple fact that any regional, national or global catastrophe worthy of the name will, by nature, spell death for a significant, even enormous, percentage of the population affected by it no matter what you have managed to put in place. Tragic and unfair, but probably true. Of course, with enough time to prepare, enough money, enough influence and access to enough resources, one can survive anything short of a planet-shattering kaboom, if only for a time. A bunker far below the earth’s crust, equipped with a nuclear reactor or geothermal powerplant, fully-fledged arcology and enough supplies to last hundreds of people for decades of even reckless consumption is technically possible, and may already exist somewhere. Chances are you aren’t one of the people who will be able to access it, or fund the construction of your own. You must get comfortable with, or at least accept the idea that if one of these mega-disasters touches off near you with little or no warning, you will likely perish no matter what you have done. If you are on the fringe of such a disaster, or outside its immediate area of effect, that is when your preps will likely make the difference. On the other hand, small, localized incidents, accidents and natural disasters, while not always offering much more than their apocalyptic cousins in the way of warning, are significantly more survivable if you are not killed outright. Common, even daily crises and disasters like muggings, murders, blackouts, floods, industrial accidents, motor vehicle crashes, heatstroke, earthquakes, gas leaks, dog bites, snake bites, serious illness, major chemical spills, trips, falls, choking and rioting are statistically far more likely to claim life or limb, or mandate speedy evacuation, than any world- or society-ending event. Start taking stock of what you can actually start preparing for and making a difference about. Start analyzing threats based on their probability and severity. Using just these two metrics, you can start ranking various threats on an index and spending your time and money wisely to get the most “bang for your survival bucks.” Probability is the simple likelihood that a disaster will occur based on available data. Severity is my generic compound metric for how badly the event will affect life, both its likely death toll and destabilization of society. You’ll need to use your head and reason out a few things based on specifics. For instance, and to clarify, a very high probability, but very low severity event would be something like a car wreck. They certainly occur almost constantly in the U.S., and almost everyone knows someone whose life was changed for the worse by a wreck. Car wrecks can claim a life in a blink; thousands of pounds of steel deforming and crumpling at high speeds will make a mockery of the human bodies within, maiming and killing with shocking ease. But, no car wreck causes society to fold up and collapse: for everyone except the people immediately affected by it, life is unchanged. Hospitals and grocery stores stay open, the power does not go out, mobs will not turn up in the city square. The other point is that they are low severity because you can do much to influence the outcome and your chances in the aftermath: performance driving school, first aid and trauma training, and vehicle-carried first-aid kits are all examples of countermeasures that are effective at preventing or ameliorating harm from car crashes. Now compare something like a large asteroid or comet strike. Vanishingly low probability, but dreadfully high severity, being regional to global in effect. If one of these strikes a population center, or near it, there will be untold deaths from the blast alone, which will be measured in tens of megatons and obliterate the area at ground zero. The End, and tough luck. 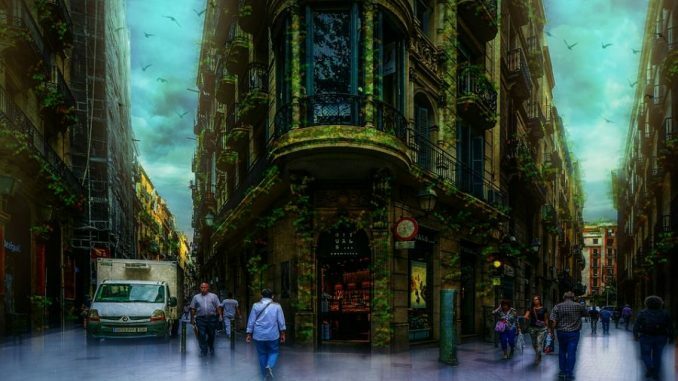 Follow-on effects from debris in the atmosphere, fire, resulting loss of electricity and major medical services will result in many deaths by themselves. Climate changes will likely follow, an “Impact Winter”, affecting parts of or the entire globe. That is just the highlight reel. How could one possibly truly prepare for that? Without devolving into an argument, it is my opinion that you really can’t; sure, you’ll survive the impact itself if you are on the other side of the continent or globe, but a large enough specimen giving our planet the Hard Goodbye™ will almost certainly eliminate most forms of life on Earth from secondary and tertiary effects. What you should be preparing for is anything that is life-threatening and likely to occur, doubly so for anything that is both likely and severe. Also note that while there are differences between everyday mishaps or emergencies like car crashes, snake bites and blackouts and real, proper disasters like hurricanes, wildfires and chemical spills, you prepare for both in the same way: magnitude is the only difference. Even natural or man-made disasters are a far cry from real catastrophes like major meteor impacts, super-volcano eruptions and nuclear strikes. Where you must restrain yourself is in focusing on the big, scary, largely unsurvivable events at the exclusion of the far more likely “daily disasters” that will still kill or maim you. It is the unanticipated event that is often the most unforgiving. To make sure we are all on the same sheet of music when it comes to assessing various disasters, accidents and instances, here is my short list of common (and not so common) ones with corresponding Probability and Severity ratings with other situational notes that would influence my decision to prepare for them. Again, anything with a high probability merits immediate attention compared to one less-likely. Note this list is not comprehensive by any stretch of the imagination. These examples are just to get you thinking the right way about various disasters and situations that you may have to face. 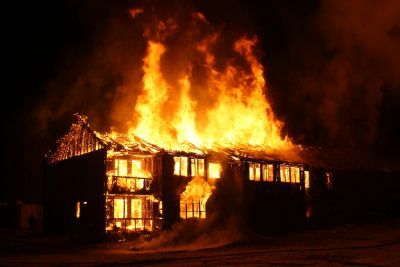 Notes: Over 300,000 residential fires in the U.S. every year. Small accidental fires can be stopped with a fire extinguisher before they grow; deaths from large fire can be prevented with family safety plan and practice. Minimal expenditure of time and resources can greatly reduce risk of loss or death from house fire. Notes: May be significant seasonal threat depending on area of country lived in. Damage to buildings and social infrastructure may be light to devastating. 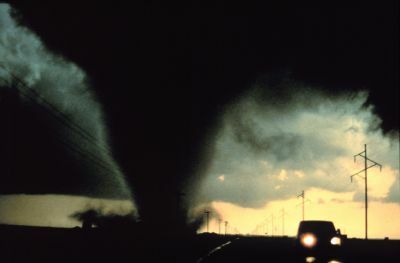 Tornadoes may spawn with little warning but storm systems that produce them are almost always detectable early. Prioritize hardening of basement or installing subterranean shelter; ID shelter points along commute route, secure provisions for providing shelter and survival in aftermath of serious destruction. Notes: Threat level varies depending on location. Areas with many chemical plants or refineries are at significantly greater risk, as are any places where chemical-car laden trains move through; trains derail. Spilled chemicals can pose direct threat to life depending on nature of agent. Contamination of water supplies is major threat. Fires are common alongside accidents of this type, and may create windborne threat. Speedy evacuation may be required in all instances. Investigate efficacy of gas mask/respirator protective equipment and have multiple preplanned evacuation routes to flee affected areas. Today, the likelihood of a nuclear war between major powers is low, but the results of such an event will at the very least result in immense nationwide death and destruction. Society will never be the same and follow-on effects from radiation exposure, famine and loss or rationing of crucial services will result in countless deaths more. 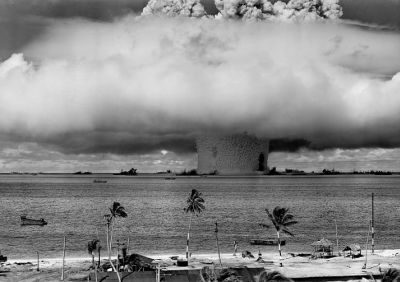 Short-term survival prospects in immediate aftermath of strike may be good if far from ground zero, but special preparation must be taken with training and equipment to withstand and minimize radiation exposure. Escaping population centers prior to or after strikes will be paramount. May result in effective end of life on earth. Notes: In the event that a truly autonomous, electronic super-intelligence is created, we have little idea what it might do or be capable of. An AI could very well devise countermeasures against what humans or other competing intelligences could do to stop it in such short timeframes that it is virtually invincible. Its near-term probability modeling may be accurate enough to enable it to virtually predict the future. Its reaction to humanity, if hostile, could take the form of seizing and subverting or locking down all electronic networks and anything connected to them, including power grids, banking and information infrastructure, remote or autonomous weapons and more. The far-reaching consequences of such an event are impossible to calculate. Aside from general provision and withdrawal from major population centers, one may only speculate at how to defend against this occurrence. Based on our list above, the first three “mundane” but more likely threats require significantly less effort and investment of resources to prepare for than the last, apocalyptic two. They may not be “exciting,” but they will surely kill you if you treat them lightly, and kill the people you care about. Considering how unlikely the last two are, especially a rogue AI turning against humanity, is it a waste of our time and effort to prepare for that specific threat? Not necessarily, but you may be overlooking critical, basic lifesaving skills in your quest to survive after the end. 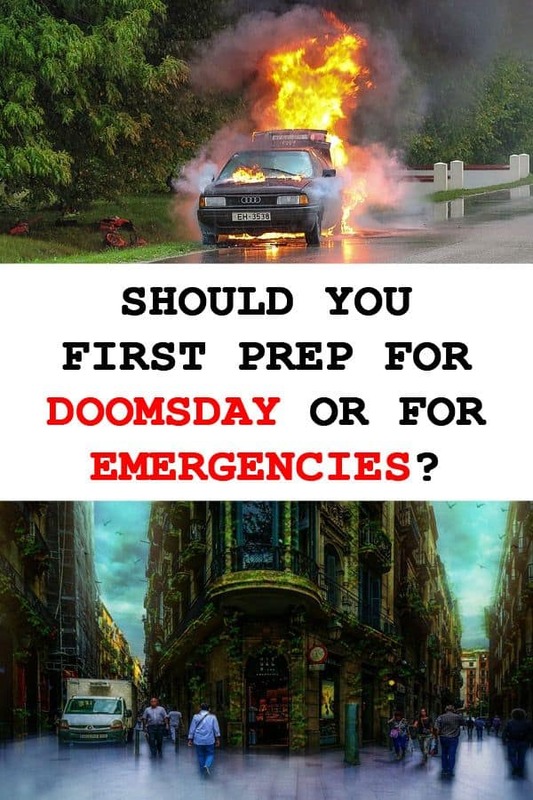 A common counter-argument from preppers who are attempting to plan and protect against a true catastrophe is that, by their logic, if you are able to survive the end of the world as we know it, you are able to survive countless lesser disasters and crises. This is probably true when considering equipment and provisions, but not skills: My biggest criticism that I level against folks getting ready for “The Big One” is they often develop a fanatical, slavish devotion to amassing stuff while neglecting skills training for another day that never comes. There will always be more bullets, beans, bandages, gasmasks backpacks, radios and so forth to buy, and the search for the perfect location for their subterranean bunker is endless. Meanwhile, they don’t know how to perform CPR, apply a tourniquet to stop an extremity bleed, competently use a gun or navigate with just a map and compass. This to me is the classic folly of missing the forest for the trees. If you are neglecting fundamental skills and preps, you are wrong. Things like first aid and basic trauma care training, self-defense training with weapons or fists, stocking fire extinguishers at home and in vehicles and storing a supply of basic provisions; medicine, food and water to sustain yourself and family or group for 30 days. They are called fundamental for good reason- everything else grows and expands from this core! Your most basic preps and provisioning like a seven day water supply for your family, basic means of self-defense, and extra prescription meds in case of shortage protect against dehydration, human threat and illness or disease respectively no matter what instigates it; it may be a simple blackout from a week-long blizzard, or an EMP. A tourniquet and the skills to apply it will help you prevent death from an extremity bleed if the cause is a gunshot or an industrial accident. When you take basic preparation for one kind of crisis, you are actually preparing for many others as well. From these humble beginnings you are able to, and indeed should, increase your skills and knowledge as well as your material preparation: a 90 day supply of food, perhaps a rain catchment system, generator, backup guns and other weapons, advanced medical training and supplementary medicines. Now start looking big picture. What is the most likely major threat for your area, and what specialized preps do you need to protect against it? Is it a large active or semi-active volcano? Do you live in an area prone to disastrous flooding? If living in or near a major military installation or urban area, is a terror attack or nuclear strike more likely than average? Should you look into discreetly acquiring a secondary dwelling you can retreat to? You will not “outgrow” the fundamentals, but you can “outrun your headlights” in a rush to prepare for the apocalypse. Answer yourself honestly if you could save the day in these everyday emergencies: a relative choking on food; your child bleeding badly from their arm after being severely cut by broken glass; a mugger accosting you and a friend after you leave a late night movie screening; a tire needs changing or belt needs replacing on your vehicle when it breaks down far from home with no cell reception; you must keep warm outside in freezing cold and austere conditions; your home is in the path of an EF 4 tornado. They are only a tiny sampling of survival skills, but if you answered no to several of these, chances are you need to get back to focusing on the basics before you are sorely tested for real. Major catastrophes and apocalyptic scenarios are survivable, and we must be prepared for them, but not at the expense of learning the basic skills and acquiring simple equipment that is far more likely to be needed in our lifetimes. Common disasters are not exciting or mysterious, but they are deadly, and something as simple as a flood or hurricane can quickly end day to day life as you know it, and require a high degree of both skill and preparation to survive. Make sure you are planning for the likely while you prepare for The Big One. Do you agree with the author’s premise? What is the most likely threat you face in your area? Which major catastrophe do you think is most likely to affect the nation, or the world? Let’s discuss it in the comments! A sensible way of considering prepping. I arrived at similar conclusions when I realized I’m five miles from a first strike target and too old and semi-infirm to make it more than a month or two, depending on the season, after an EMP. I speculate about AI but that one, is not worth worrying about either IMO. A good article for reality testing most people. Great perspective! Our first line of defense is to be able to continue to live in the event of sudden job loss or home loss. We experienced this in 2008 and had to relocate to get work. Lived in a tent for several months while getting back on our feet and looking for a house to rent. This was with children, too! We also live in an area known for wild fires and rugged country where access is difficult for fighting the fires. We are working on our plan for protection and escape from fire. The idea of a BIG event is suggested and possibly is real, but we found it’s the everyday problems that throw people off if they’re not prepared. Thanks for the article! Blessings to you n yours!